Archives Afternoons | UNL Band Alumni Association, Inc. The University Libraries will celebrate the 50th anniversary of the Archives and Special Collections with a series of presentations. 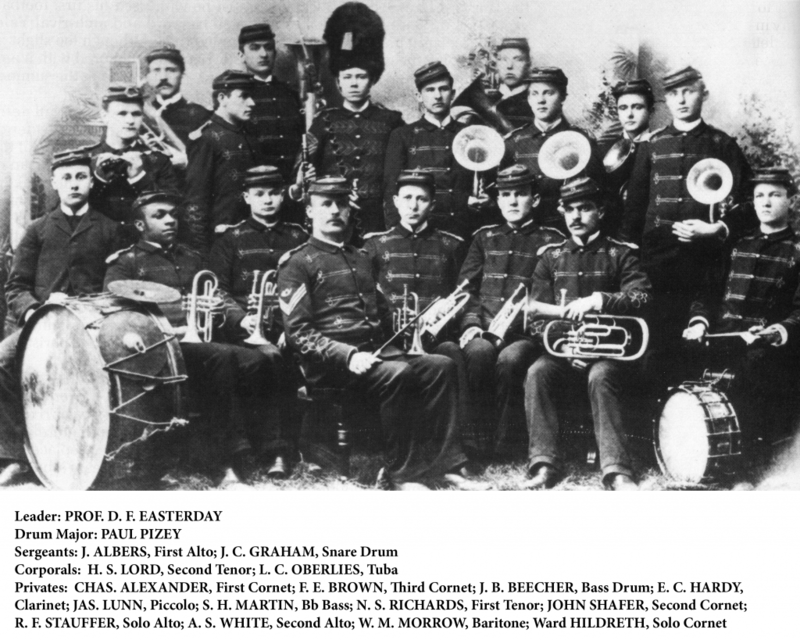 February 15th is about the history of the Cornhusker Marching Band. All presentations are 1 to 2 p.m. in the Adele Hall Learning Commons in Love Library North. The presentations will feature a member of the University Archives team available to discuss a topic from university history and answer questions. Each Archives Afternoon will feature photographs, artifacts and documents. Members of the university community are encouraged to stop in at any time during the hour-long chats. Learn more about Nebraska’s Archives and Special Collections. 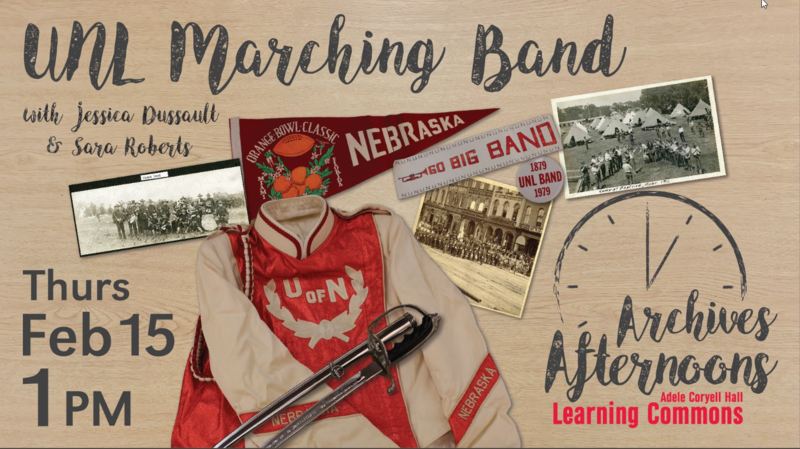 To see video and images of the Cornhusker Marching band, visit the UNL Libraries Image & Multimedia Collections. I will be there!!! and thaNk you!